Hot news…. William Penn Primary School comes 13th in a UK wide biscuit wrapper recycling competition! 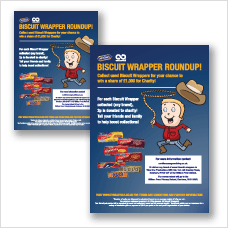 Grand Prize Winner and our Biscuit Wrapper Roundup Champions are Wooler First School in Wooler - Congratulations! They have won 25,000 TerraCycle points in their TerraCycle account, redeemable for a £250 contribution to the school or charity of their choice and a McVitie’s Hamper full of biscuits! First Runner Up running a very close second were Womans Aid Charity Shop in Grimsby - Well done! They have won 15,000 points in their TerraCycle account, redeemable for a £150 contribution to the school or charity of their choice and a McVitie’s hamper. 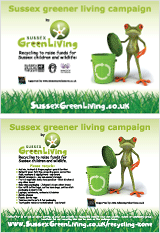 This entry was posted in Children & nature, Eco School William Penn, Green stats, facts & news, Recycling facts. Bookmark the permalink.